Back in the day, your mum called it spastic colon. Now known as irritable bowel syndrome, it’s almost as common as a cold. We asked the experts at Health Renewal and here’s what you need to know about the problem and living with it. One in five people – and twice as many women as men – will be troubled by Irritable Bowel Syndrome (IBS). It is likely to appear in your twenties and there is no cure, but a doctor can help you identify ways to keep your specific symptoms under control. IBS isn’t called a disease because it’s a combination of symptoms that differ a lot from one sufferer to the next. Your doctor might first do X-rays, blood tests and a colonoscopy to rule out more serious issues. Then it’s down to some detective work. Here is some good news. IBS isn’t life-threatening and not a red flag for Crohn’s disease or colon cancer. It is not an infection and not contagious. Unfortunately, it is chronic, though symptoms can come and go. 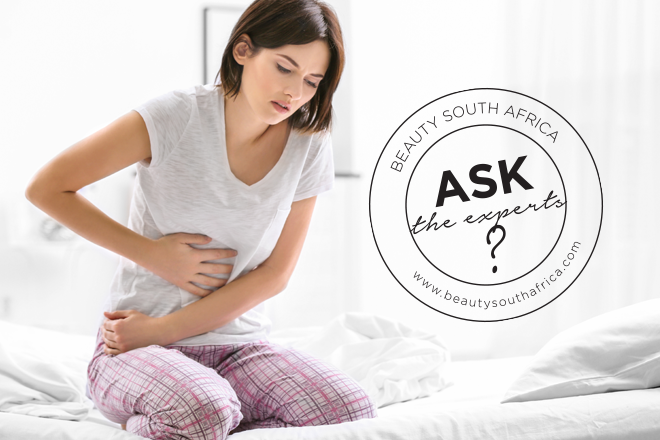 Bouts of stomach cramps, bloating and either diarrhoea or constipation are typical. Your gut is perfectly healthy, but something makes it as moody and oversensitive as a teenager. Usually, the muscles of your intestines squeeze and relax rhythmically. IBS makes those movements erratic. Food passing through too quickly causes diarrhoea because your gut doesn’t have enough time to absorb water from it. Food shifting too slowly causes constipation, because too much water is absorbed. It may be that IBS disrupts the signals between the brain and intestines. That’s the best theory so far. Other possible factors are genes, stress and anxiety. Your colon might also react badly to certain foods and a dietician could help you identify them. Calm down. Let no one tell you IBS is all in the head or make snotty remarks about your pain threshold. Stress does play a part though, by pushing up levels of the hormone cortisol. Depression and panic disorders can also contribute. Check your diet. Food types that make IBS flare up in many people include dairy products, wheat, garlic, onion, legumes, avocados, apricots, cherries, nectarines and peaches. When your gut reacts, make a note of the last things you ate. If a runny tummy is the problem, cut down on insoluble fibre, which is plentiful in whole grain bread, bran, cereals, nuts and seeds. Eat more of these to help with constipation. For wind, try oats for breakfast and up to a tablespoon of linseeds per day. Medicate. Peppermint oil in capsules is a muscle relaxant and gets rid of some troublesome microbes. Marshmallow root and aloe vera juice work for some. It’s possible that probiotics help, but more proof is needed. If you get constipated, try a laxative that’s taken with water. Fibre supplements are fine, but definitely not if you are feeling bloated rather than blocked. Imodium products are safe for diarrhoea. Stop snacking. Food moves from your tummy to your small intestine in around five hours, so snacks between meals denies your body a break before the next job. Don’t skip meals. Breathe deeply before you start to eat and practise “mindful eating”, which means taking in the aroma and taste of your food and concentrating on how many times you chew each mouthful. Exercise. Believe it or not, your grandmother’s little walk ­– 15 to 30 minutes – after meals really does aid with digestion. Go gastro. If nothing helps much, see a gastroenterologist. Mention any family history of gut problems, unusual weight loss or black stools, as well as your typical symptoms and what you take for them. Although there may be no “cure” for IBS, many of the causes such as dysbiosis, stress and anxiety can be treated effectively, and a poor diet can be corrected. It is possible to live a symptom-free life with proper treatment and lifestyle modification. If you need help managing your IBS, one of the Health Renewal doctors could give you expert guidance. Got a health question for our experts you can ask them here. My mom has IBS and I feel her pain when her IBS flairs up! THe Falxseeds and pepermin oil she has not tried yet. I have given her the advice and she is very excited to try. Do you not have IBS products you can share? The culprit for me is yoghurt :( much as I love the stuff, the moment I consume it I feel like I can die of cramps and pains. Plain and Bulgarian yoghurt seems a little easier on my gut in moderation (once a week) but fruit and flavoured variants are a definite no-no for this girl. Carbs seem to have a big effect on IBS for me.